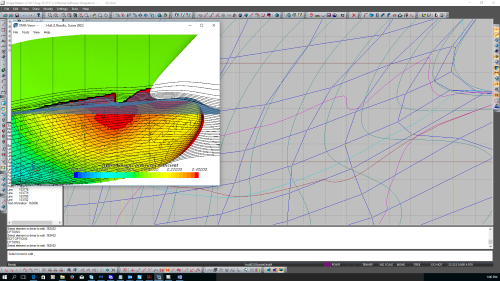 Using the Shape Maker for hydrodynamic hull optimization. Tank testing of the hull shape still the most accurate method for determining the hydrodynamic characteristics of the ship. 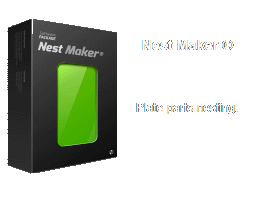 This is a long, time-consuming and costly process. At the same time, the methods of numerical simulation of the behavior of the hull in the water are constantly being improved. Now, to get the CFD run result, an average of 1-2 days of computation is required. Certainly, the accuracy of the representation of the results of numerical modeling of the hull flow depends not only on the computer capacities used, but also on the account of all aspects of flow in the calculated mathematical model. - the results of calculations may differ from the results of model tests, but visually (the representation of the wave surface and the position of the streamlines around the body) coincide quite accurately. - improving the results of calculations will certainly improve the flow over the real vessel. - the shape of the wave surface, the location of the current lines and the distribution of pressures around the hull are trustworthy and are the initial data in the optimization process. - the accuracy of the calculation depends very much on the accuracy of the representation of the ship's surface. Calculations are carried out on a fine breakdown of the calculated grids and any surface defect can significantly change the flow pattern of the hull, so Shape Maker is used to model the initial ship surface as the most convenient and accurate means of surface modeling. 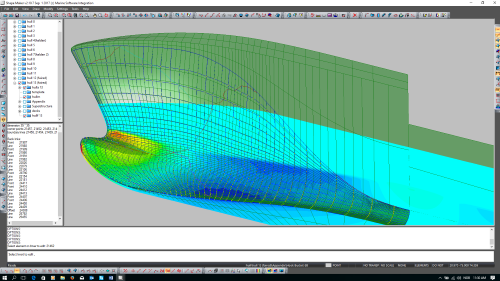 To perform the calculations, the surface model is transferred to the hydrodynamic systems. 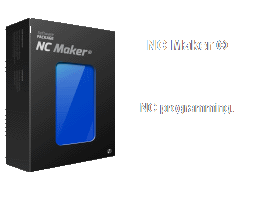 At the same time, as a rule, additional processing of the model is not required. 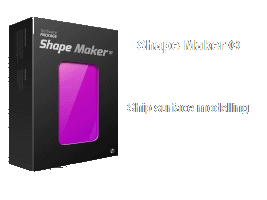 The results of calculations can be loaded into the Shape Maker as a reference point for the subsequent change in the shape of the surface. Additional features of the program for visualization of inflection lines, section area curves, graphs of changing the area of the wetted surface along the length of the vessel give additional possibilities for studying the flow around the ship's hull. In fact, the optimization of the surface of the vessel on a computer is practically the same as the optimization in an experimental basin. 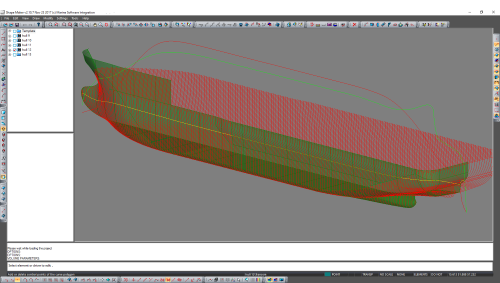 According to the test results, changes are made to the shape of the hull and the tests are repeated once more. The only difference is that it is much easier and faster to change the computer model than the ship hull model used for model tests in the tank. The calculation also does not require large time and financial costs compared to running the model in the basin and processing the results.